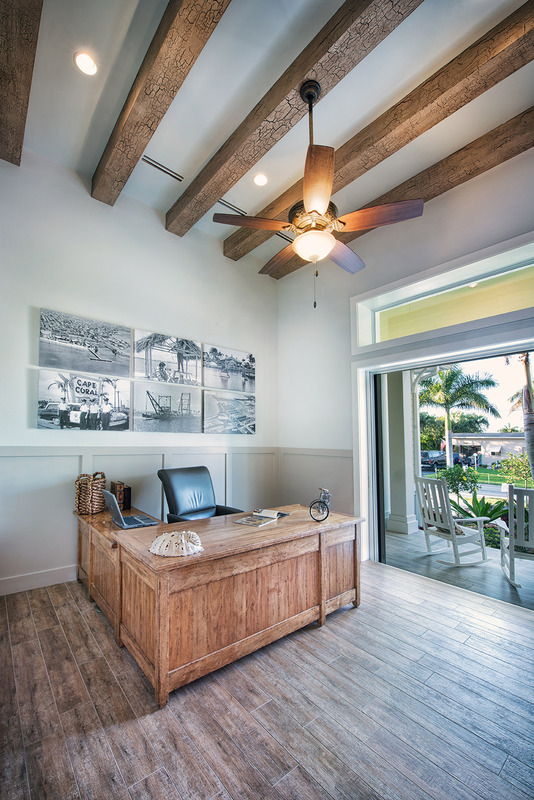 The Hemingway is a Key West style design. 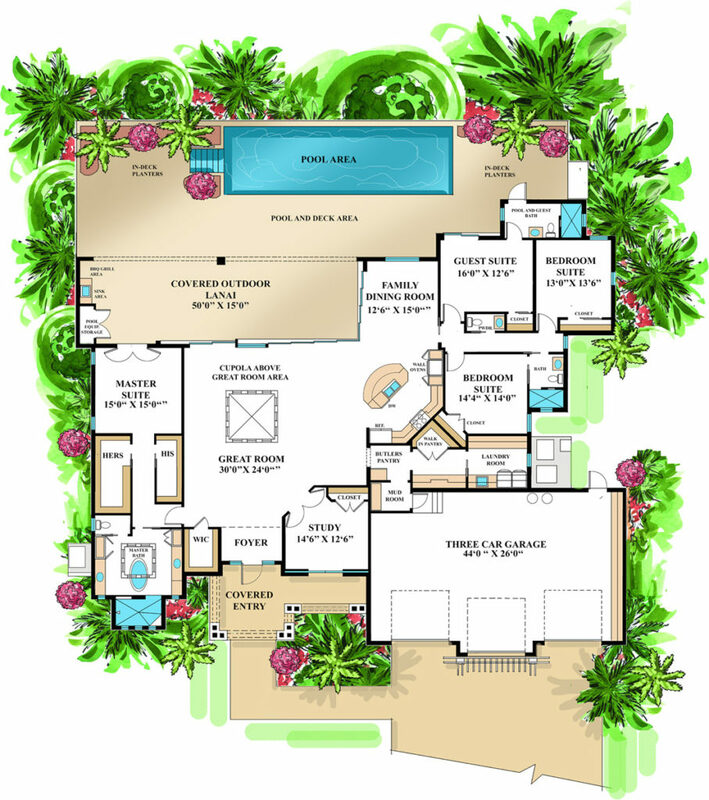 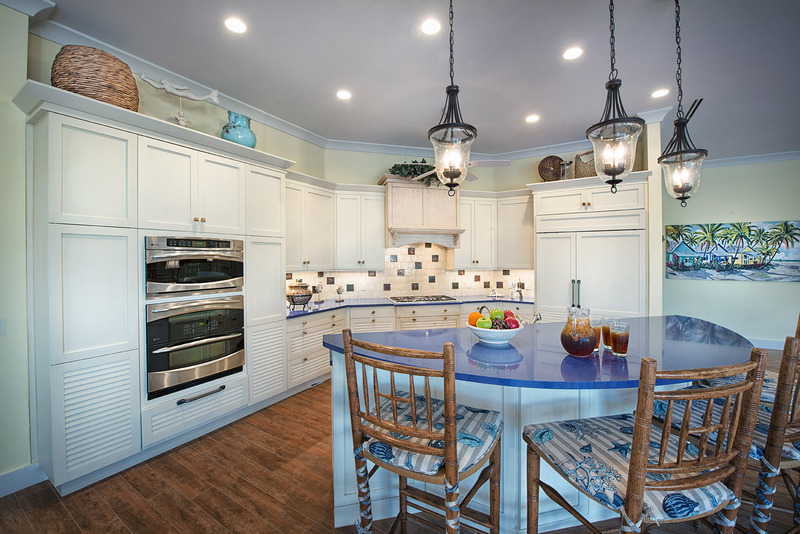 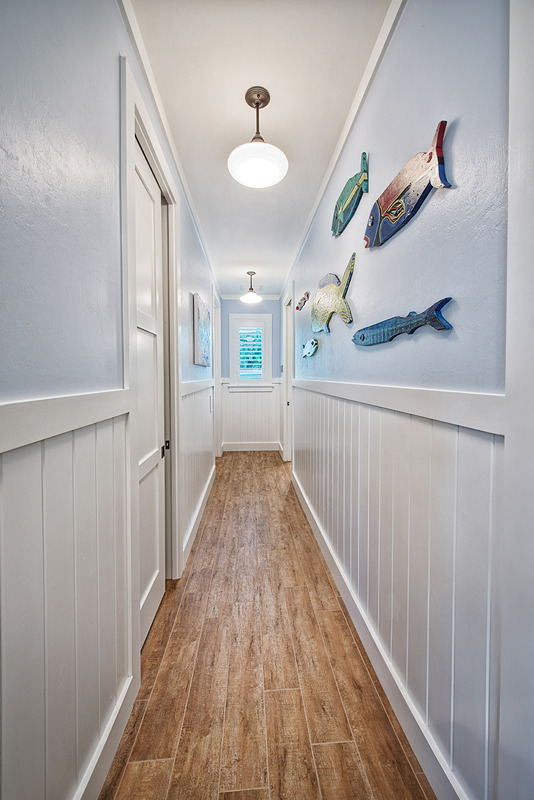 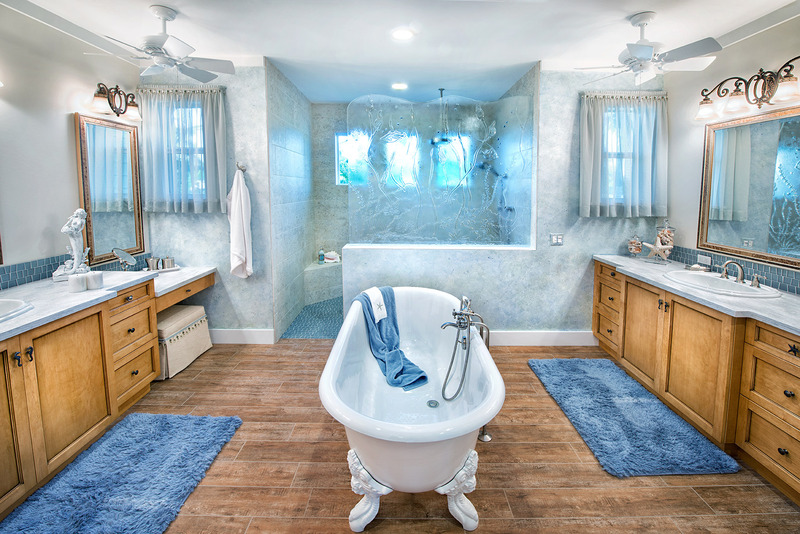 The inspiration for this style comes from the relaxed and whimsical atmosphere commonly found in the Florida Keys. 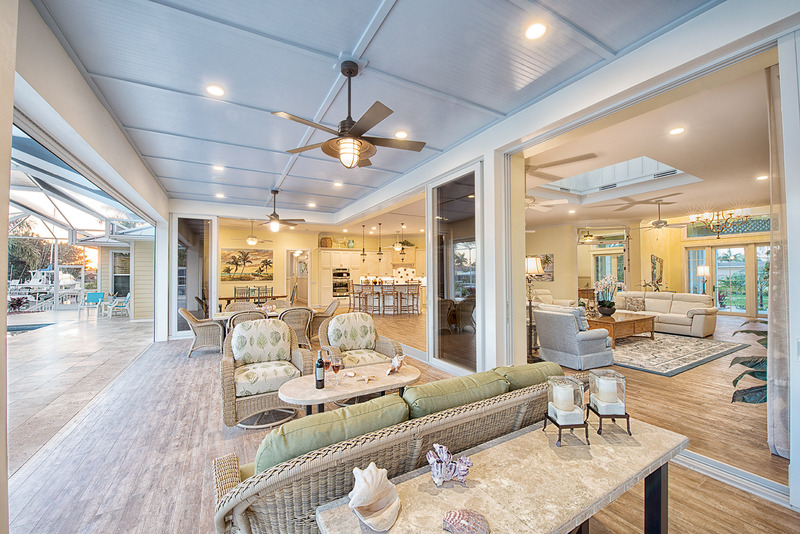 The cottage exterior includes a metal roof, large front porch, and a pergola. 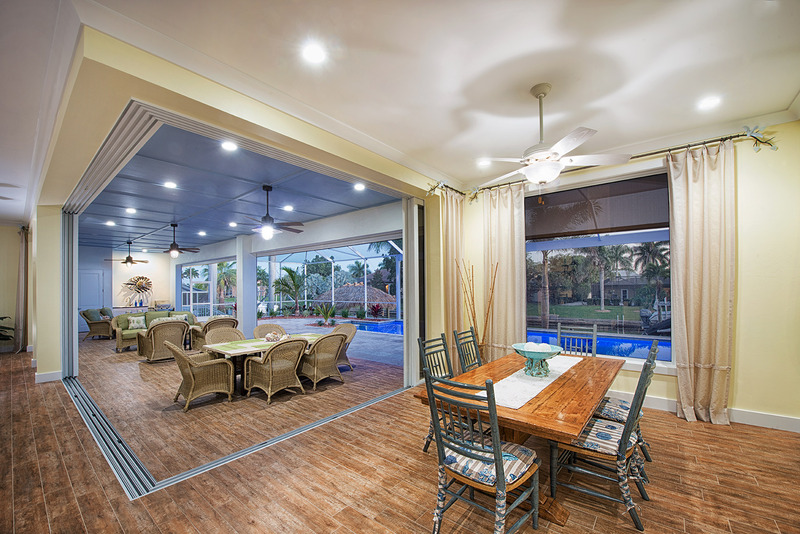 The oversized lanai is perfect for outdoor entertaining. 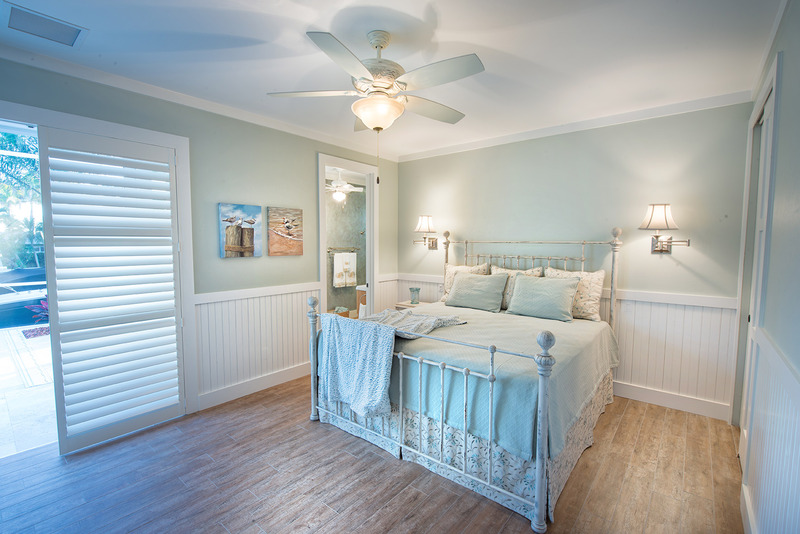 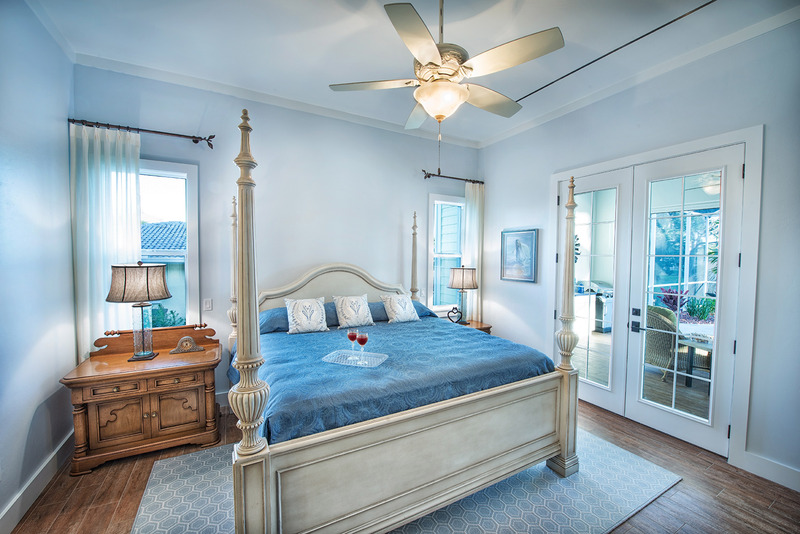 The home includes a master suite, three guest suites, and an open Great Room with a functional cupola. 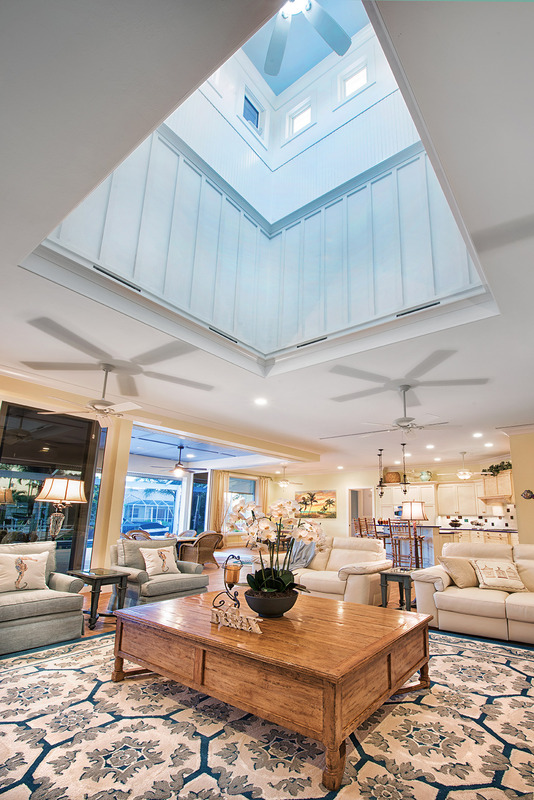 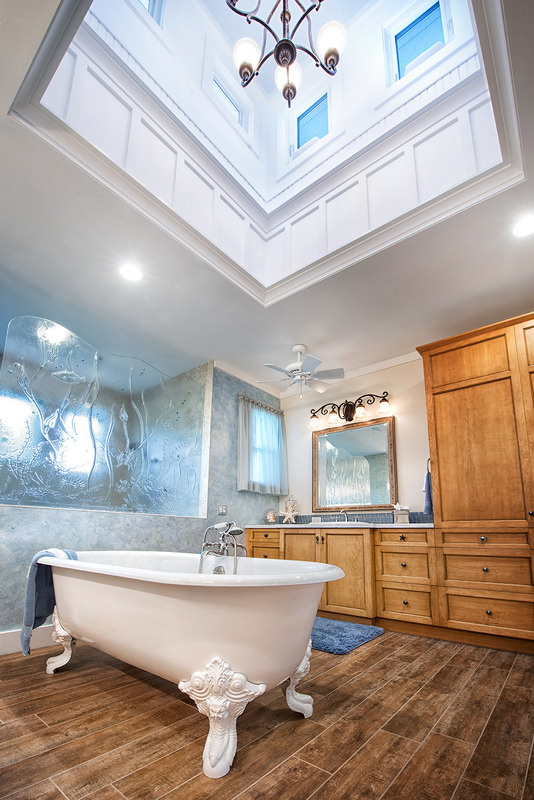 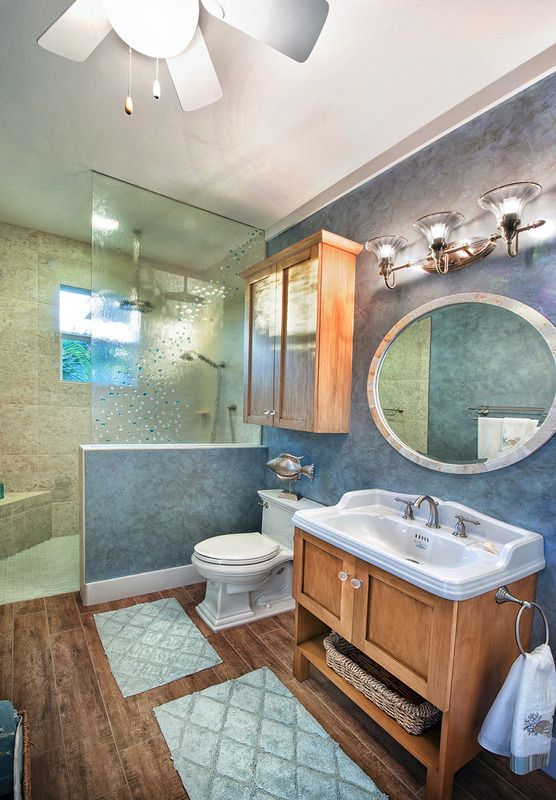 This unique feature allows tropical breezes to flow through the home. 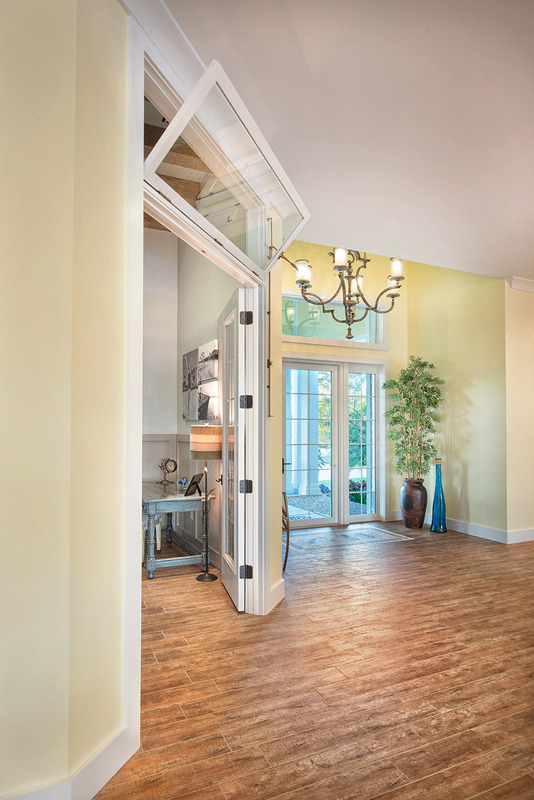 The Hemingway offers endless architectural details and high-end finishes, from wainscoting design elements to custom mosaic tiles in the foyer. 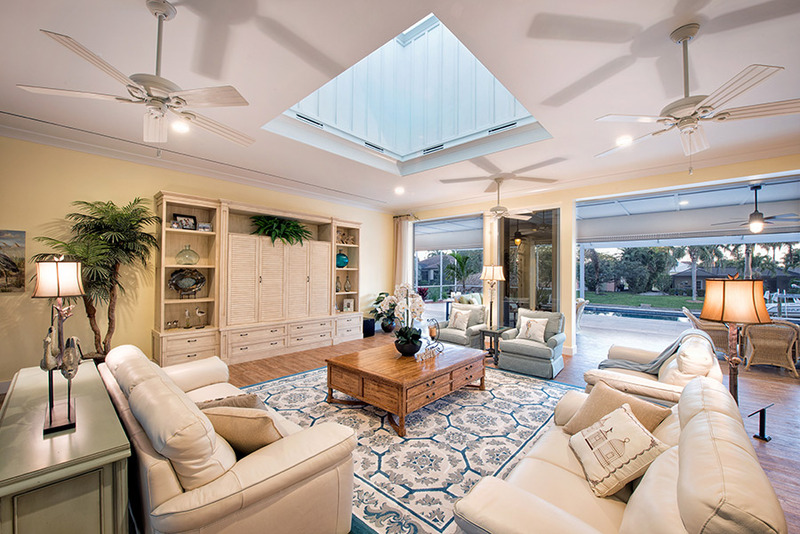 Look for magnificent unobstructed views from the lanai, and windows that open with a simple touch. 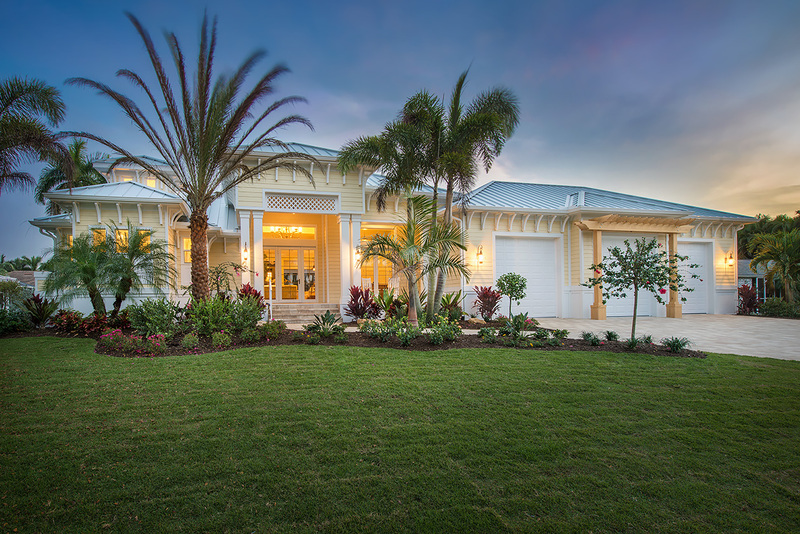 This home is a great example of quality luxury with a casual feel.